Miss Berry thanks Mrs. Tobben for the colored views of Washington. 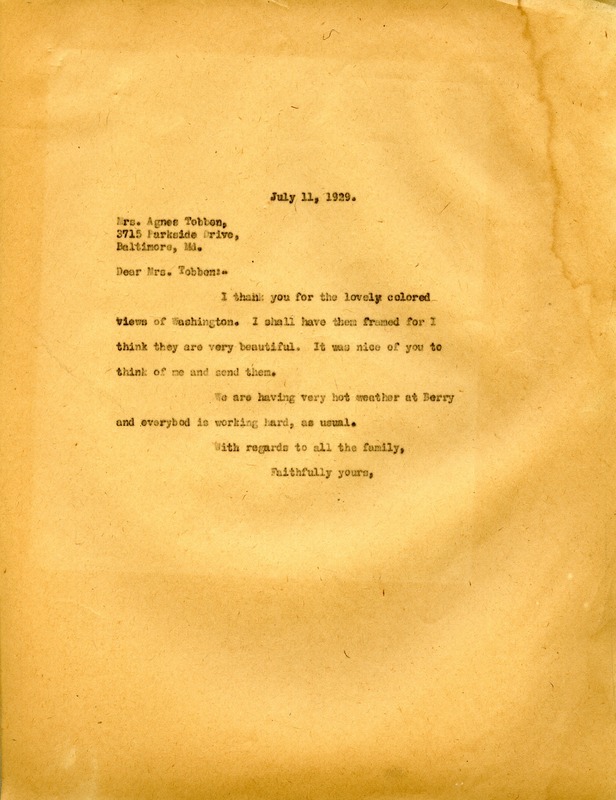 Martha Berry, “Letter to Agnes Tobben from Martha Berry.” Martha Berry Digital Archive. Eds. Schlitz, Stephanie A., Chelsea Risley, et al. Mount Berry: Berry College, 2013. accessed April 22, 2019, https://mbda.berry.edu/items/show/11146.